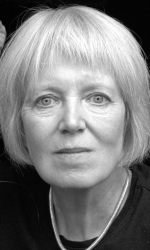 Vicki Feaver is the author of two collections of poetry: Close Relatives, (Secker, 1981) and The Handless Maiden, (Cape, 1994) which was given a Heinemann Award and shortlisted for the Forward Prize. A third collection, The Book of Blood, has been published by Cape in 2005. A selection of her poems is also included in Penguin Modern Poets 2. Widely anthologised and critically acclaimed, her prize-winning work has secured her a Hawthornden Fellowship, an Arts Council Grant, and a Cholmondeley Award for distinction as a poet.